Ali is Cadassist’s Technical Coordinator and has been with the company since October 2008. Ali is a graduate of Manchester Metropolitan University where he completed an honours degree in Business Information Technology. Ali manages and coordinates the Help Desk as well as the IT systems at Cadassist. Ali is a Microsoft Certified Professional for both Enterprise Desktop Support for Windows 7 and Enterprise Administrator on Windows Server 2008. 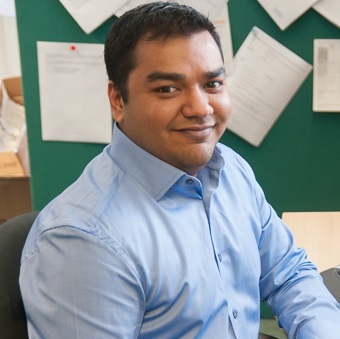 As Cadassist’s installations engineer, Ali coordinates all software deployments and Autodesk licence administration for our customers. When he is not managing support calls and installing software, Ali can be found trying to figure out how to the move our 60 training laptops and 12 video projectors to various locations around the UK so we can deliver on site training for our customers.